So it's done! 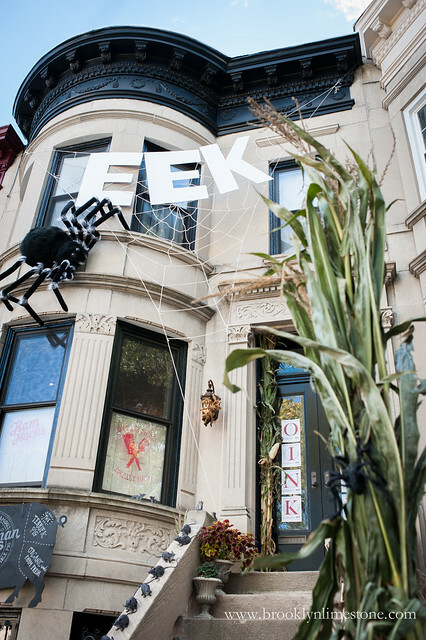 This year's Charlotte's Web Halloween Decorations with a dark twist are up! The spider we used in our very first limestone Halloween display is back. 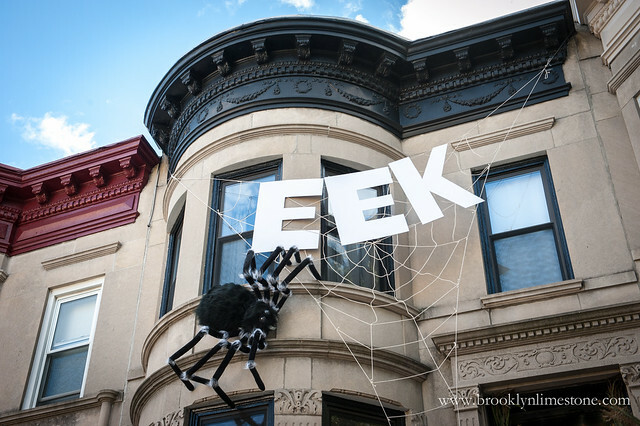 This time masquerading as an overgrown Charlotte descendant writing out a warning "EEK" in her giant web. 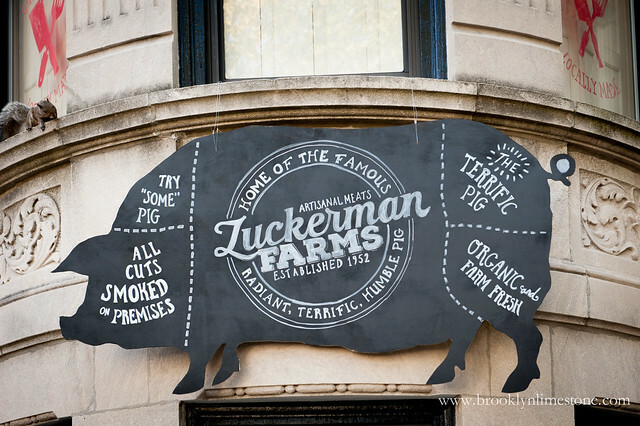 Now that the pig's bacon is cooked, so to speak, Zuckerman's is an artisanal butcher shop with a bit of a pest problem. 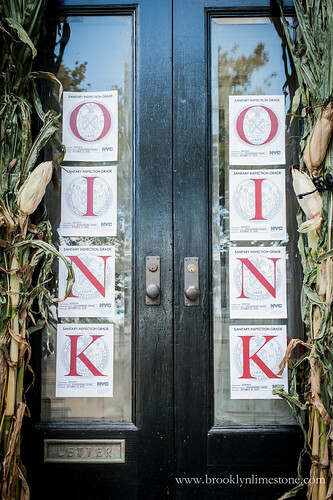 Zuckerman's health grades, displayed prominently on the doors, read "OINK OINK". Not only are they overrun with spiders and rats but their staff don't seem well either. You know I love a dark twist to an old favorite and this one seemed perfect. Spooky for the adults and older kids who can get the nuance, but not too scary for the little ones who could care less about the backstory. 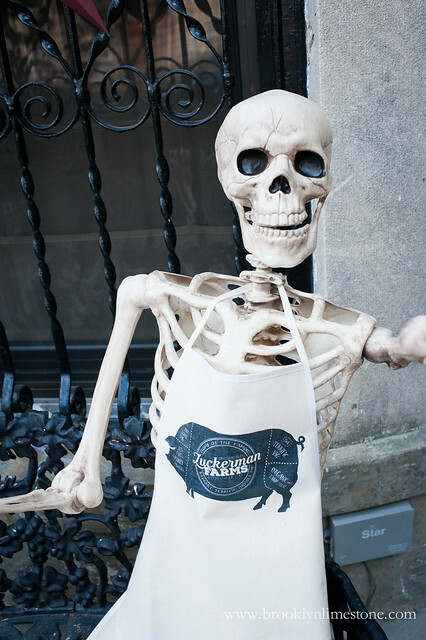 Two more weeks to Halloween! Now on to party planning. 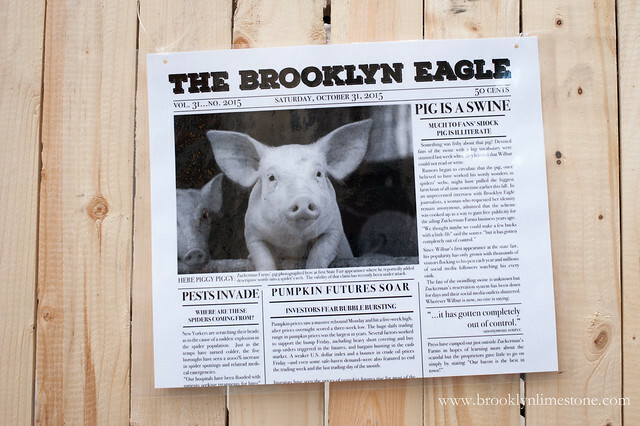 In case you missed it, check out the butcher's apron party invitation. Adore this theme! You did an amazing job! Thanks Kerrie! Very sweet of you. 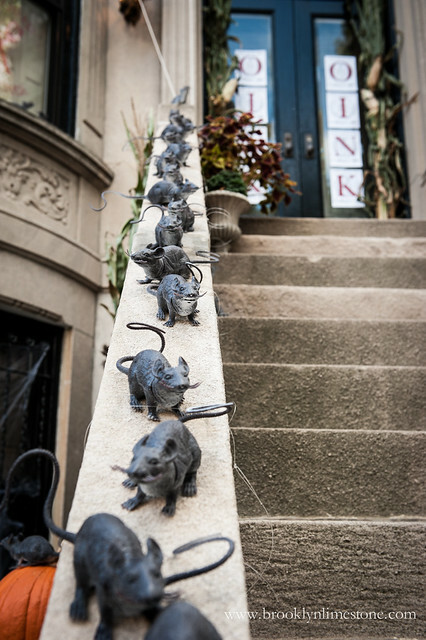 i'm always looking forward + blown away by your Halloween decorations. i love your themes and how original they all are!! Thanks Amy. This one is definitely original but I think I might do something more classic next year. LOVE IT! I count down to seeing how you decorate every year. Very cute! 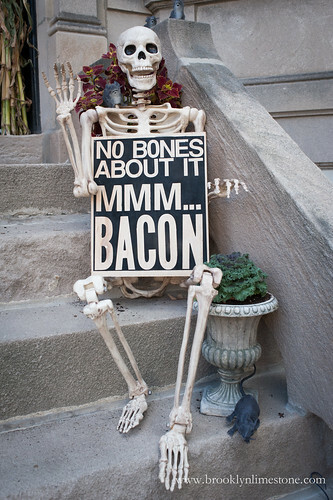 Will you hand out treats with bacon? 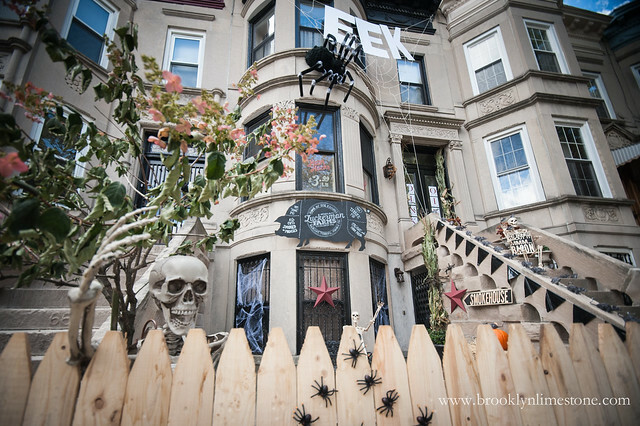 I've officially added "come to Stef's for Halloween" to my bucket list. You are the Queen of Halloween. Great job. Absolutely perfect! Every year I think can't possibly outdo the year before, and every year I"m wrong! Lovely very clever and impactful. I think I might give this year a miss, everyone expects something amazing now too much pressure! I say this every year but I really do love the holiday too much to miss it. It is a bit of pressure but its all self inflicted. As always, amazing. 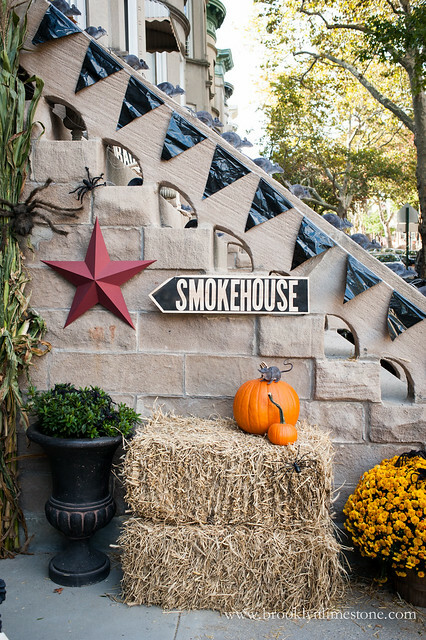 Wish I could get up there one October to see your fabulous home all decked out in person! Love it! Amazing theme and decor I am loving it. Have so much fun with your party. Omg I love this! You guys do a great job as always!!! I can't believe your creativity with all these unique,clever ideas every year and have not left out a single detail....absolute perfection!!! 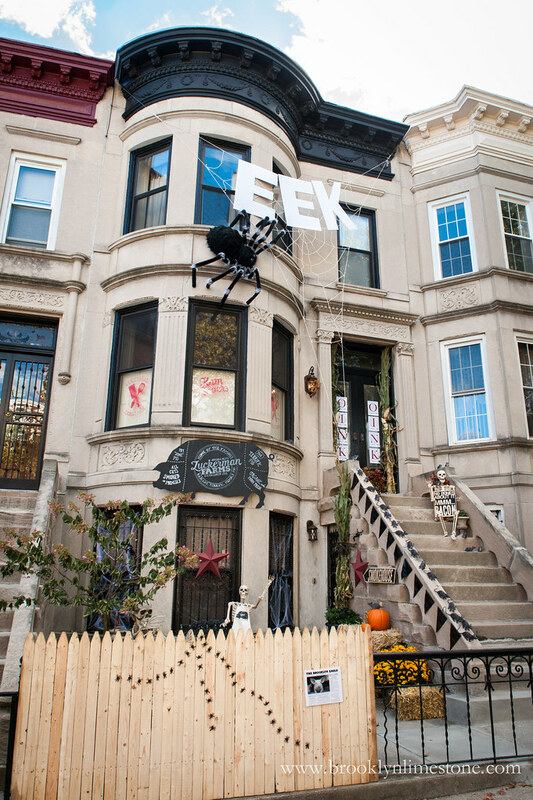 I'm still trying to figure out how you get up there and attach those decorations so they don't fall off, especially that web! You both are very talented!!! So fun!!! Well done as always! Would love to see the p.m. look too if you can escape treat duty. Have a great night!